Dr. Shelley Shults is truly a unique individual. 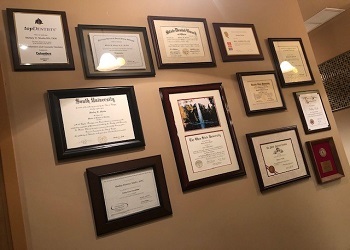 Quadruple board-certified as a general dentist, registered nurse, family nurse practitioner, and dental sleep medicine provider, she brings a unique level of expertise and skill to every treatment and exam she provides. The only thing that matches her knowledge is her unbridled passion for improving the health of our patients, and you can start getting to know her by reading on below. After spending nearly 20 years as a nurse, why did Dr. Shults decide to go back to school to become a dentist? She became a dentist because of the opportunity to practice with a comprehensive whole-body-oral-systemic approach to health. She can combine her medical and dental knowledge along with her artistic talents to achieve both general dental and periodontal rejuvenation, provide excellent results with cosmetic esthetic single or complex cases, provide comprehensive prosthodontic rehabilitation including implant supported dentures of various types, and safely care for those who are anxious or medically compromised. Dr. Shults enjoys problem solving health issues and has a strong medical referral base for those who are not connected within the medical system. 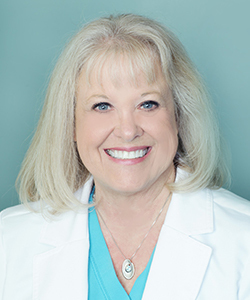 Dr. Shults thrives on delivering care that surpasses the patient’s highest expectations while additionally practicing with honesty, integrity, highest value/quality, and enjoying the trust, friendship, and appreciation that patients express to us. 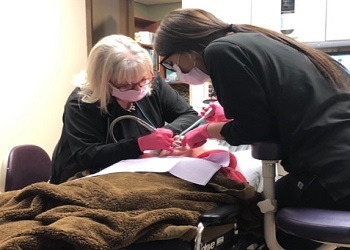 Her patients are like her family and she always provides them with the same high quality and compassionate care that she would want to have. 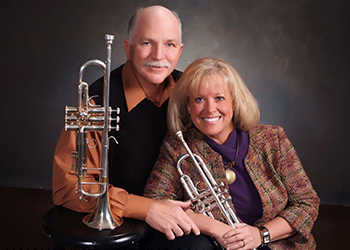 When not at the office or lecturing for various educational groups in Dental Sleep Medicine, Dr. Shults likes to spend her free time playing music, specifically the trumpet and piano. She also enjoys cooking, taking pictures, reading, swimming, and traveling. She and her husband Kip have been married for over 44 wonderful years, and they have one daughter, Krista, and three beautiful grandchildren. Their daughter is actually the Office Manager at our practice, so you’ll be sure to meet her when you come to see us!